General Mills Cheerios Recall, 1.8 Million Boxes! -10/05/15: General Mills recalls 1.8 Million Boxes of Cheerios produced over a 17 day period. This blog post will give you the lot numbers and information about how General Mills was testing their product. Over the past two weeks, I warned you about contamination in GF Cheerios. Then I was accused of spreading a “hate campaign” against General Mills and their Gluten Free Cheerios. Now, it appears that General Mills is an active participant; voluntarily spreading their own “hate themselves campaign” with a very real and very scary recall of their NOT GF CHEERIOS! According to General Mills, this recall is due to wheat flour being accidentally introduced into the oat flour. However, if the testing on final product Cheerios is as good as General Mills thinks it is then these lots of Cheerios never would have left the plant and made it to market. My very strong recommendation at this time is to avoid Cheerios until General Mills improves their testing methodology and protocol. In the opinion of Gluten Free Watchdog, if test results on a composite sample of 12 to 18 boxes of Cheerios include any values at or above 20 ppm of gluten, General Mills should explore the reason for these findings via testing of the individual boxes of Cheerios used in the composite. A result at or above 20 ppm should not be discounted as simply a random hot spot (e.g., due to an errant small fleck of barley) just because the lot mean is below 20 ppm of gluten. If you had investigated high test results from your composite sample testing versus blaming these results on errant barley flakes this never would have happened. If you had taken consumer reports of illness seriously from the beginning maybe this situation would have been detected sooner, preventing so many from getting sick. If you had not been so darn sure of yourselves maybe you would have listened to those who were trying to help prevent this from happening. Gluten Free Watchdog will be testing eight boxes of Cheerios involved in the recall to determine the gluten level in these products. I agree with GF Watchdog and I think the bigger problem is the lack of Federal Regulation, because anyone can put a GF label on a product, but the FDA does not require testing, nor do they oversee those making GF claims on their products. 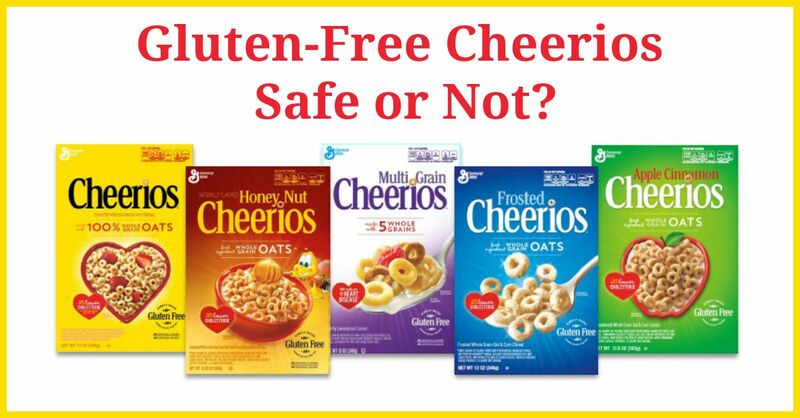 Scroll down to read my two previous blog posts to get the history on this saga and who accused me (Maureen) of spreading a “hate campaign” against GF Cheerios.